We began by analysing Dane Bank Primary School’s website, assessing it against the criteria set out by Ofsted and the DfE so that it was Ofsted and DfE compliant website. 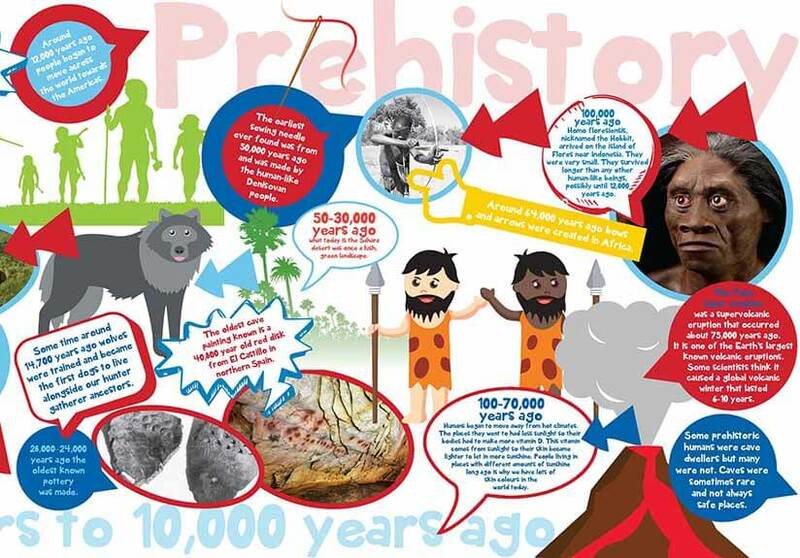 As your pupils walk through school why not combine activity with education and take them on a journey through history with our new timeline wall displays. St Thomas’ Junior and Infant School’s great new primary school website has allowed them to better engage with the whole of their school community. St Thomas’ is a school that provides a happy, secure and stimulating environment where children are motivated to learn and explore and the new website we created for them had to reflect these important core values. The new website features the best in school website design, from great functionality such as the curriculum page to the Twitter feeds on the homepage and providing access to Class Dojo and Parent Pay. The site is now a tremendous environment for learning, news and forging stronger links between the school, parents/carers and pupils. 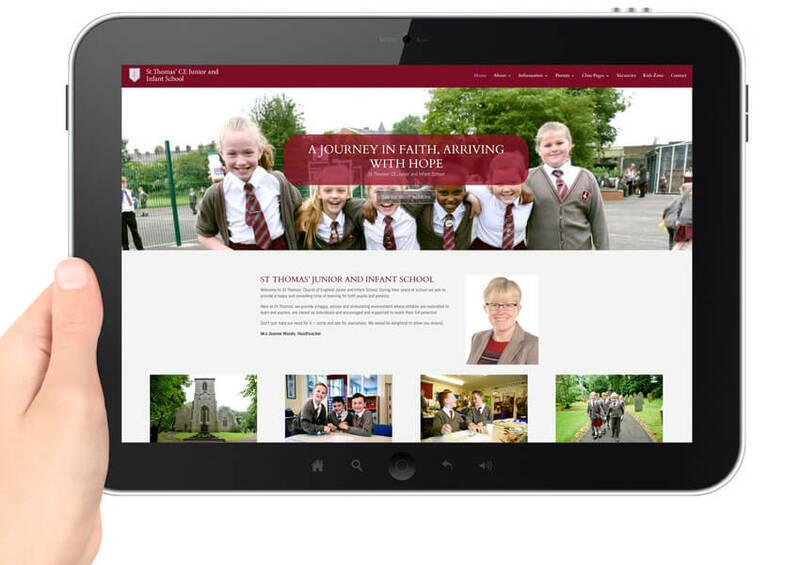 St Thomas’ used our Enhanced Primary School Website Package as it was perfect for them and included everything they needed from a modern school website. The starting point was to audit their old website to identify any gaps in compliance with Ofsted and the DfE. Once this was completed we agreed the structure of the new site ensuring it filled all those gaps and provided a really good visitor experience. We came into the school to train the staff to use the updating system which is is included in our Enhance Primary Website Package. 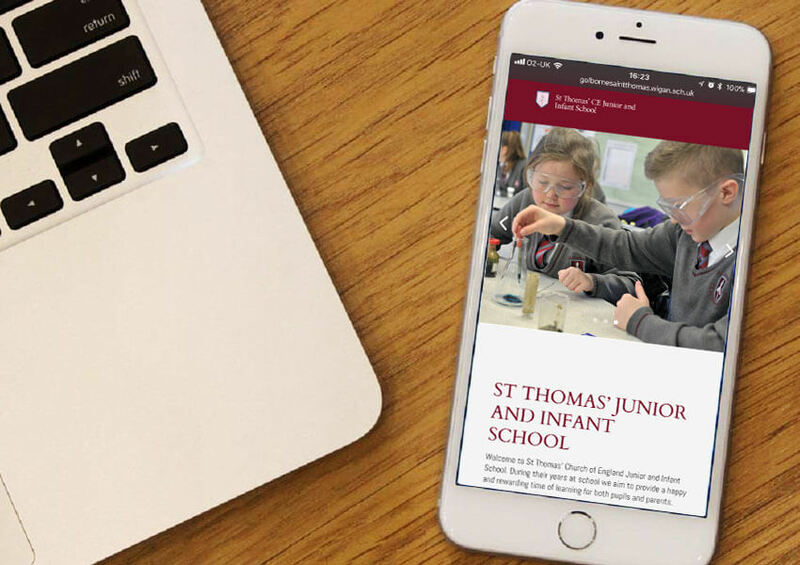 St Thomas’ now have a website that provides a fantastic portal to the school for a host of activities and one that can be accessed across a wide range of devices. The site is now responsive and can be viewed on any device. 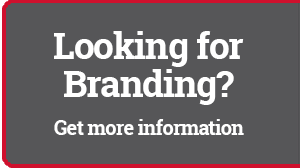 The site features great content, functionality and adapts to today’s changing requirements. The new primary school website has great new features. All our packages include two hours of development time a month to ensure it is kept up to date. We regularly review the website with you to make sure its working exactly how you want it to, we can then update it, add functionality and new sections on an ongoing basis at no extra cost. So for example if you wanted a secure area creating for staff or parents, this would be done within you annual fee. We have set it up this way so you know exactly what the annual cost will be with no hidden surprises. 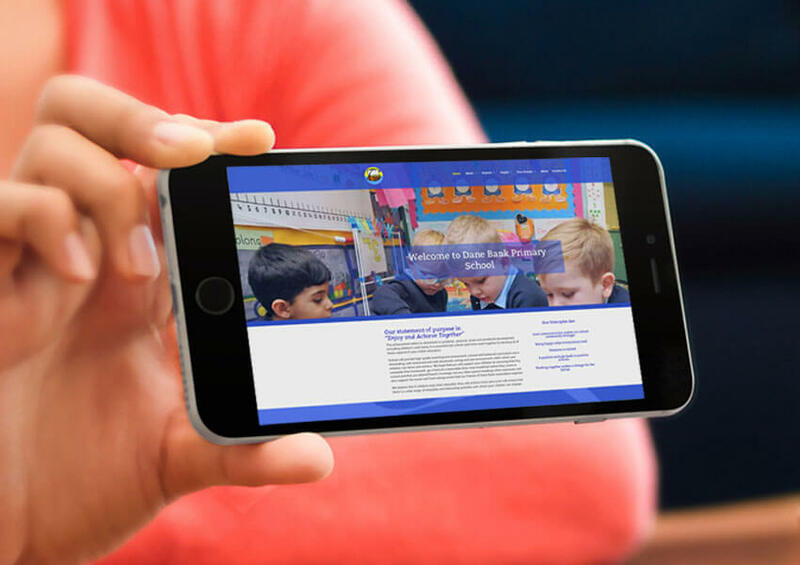 Let us help you manage your school website like Moorfield Primary School. 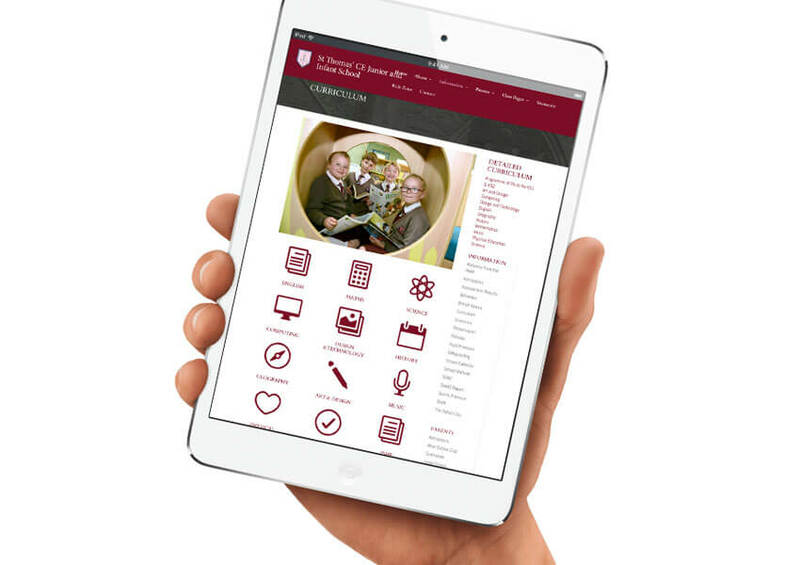 The key to a successful school website is how quickly and easily it can be updated. 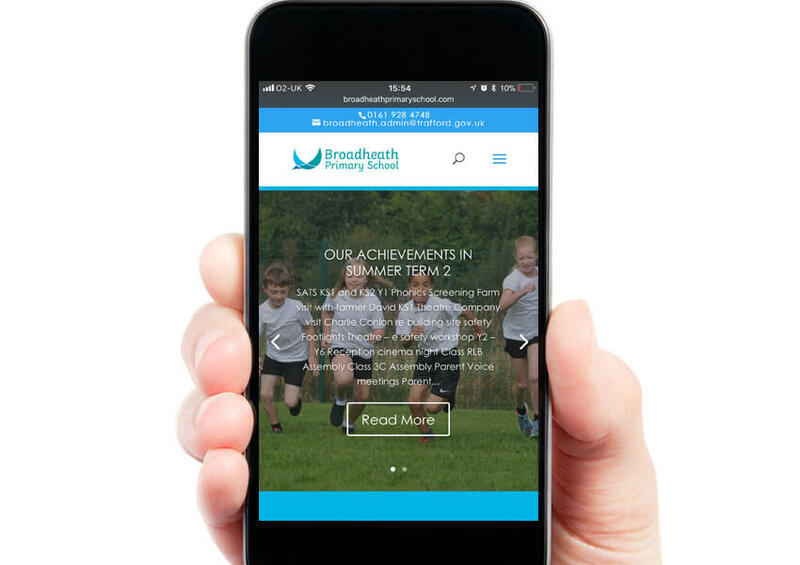 After developing and rolling out the brilliant branding for the school we then created a new branded responsive website for Broadheath Primary. 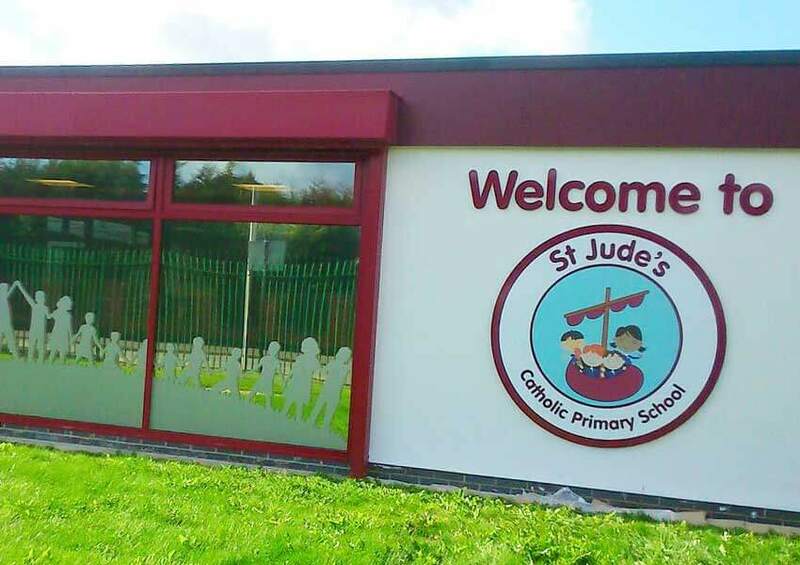 St Jude’s Catholic Primary approached us to help them create some sensational new branding for their school. 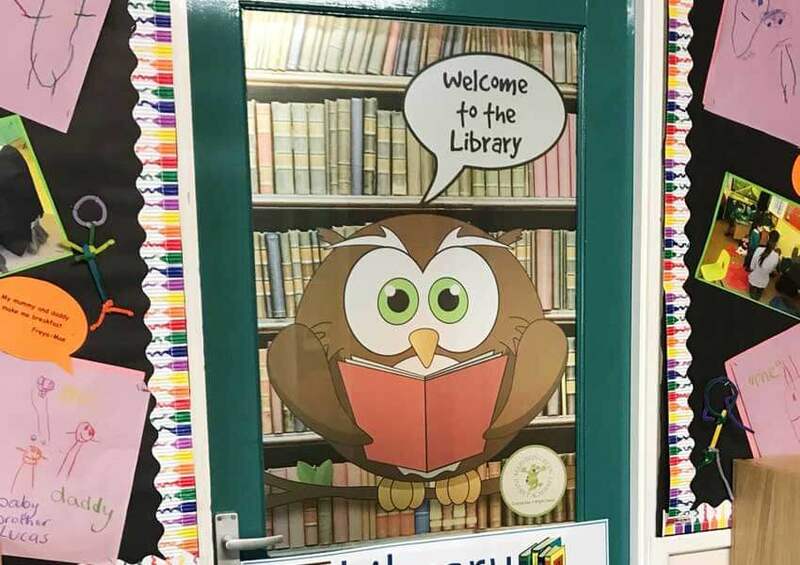 We began by using one of our lesson plans which the teachers at St Jude’s applied to guide their pupils through the process of creating a logo. We would then take the best of the school childrens ideas as the basis for a new logo and then roll that out into the sensational new branding that St Jude’s were eagerly awaiting. 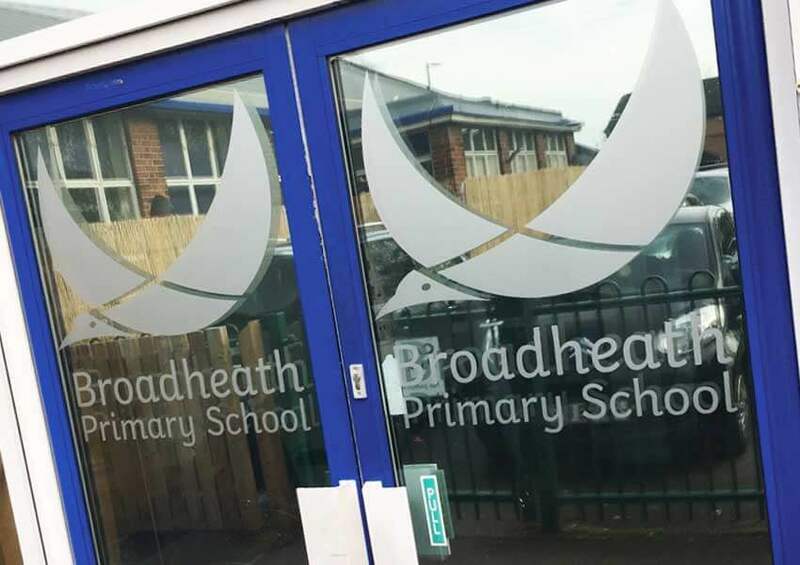 When the Broadheath’s new school branding was rolled out the school suddenly had new wings and now they are soaring high with breathtaking new branding at Broadheath Primary school. 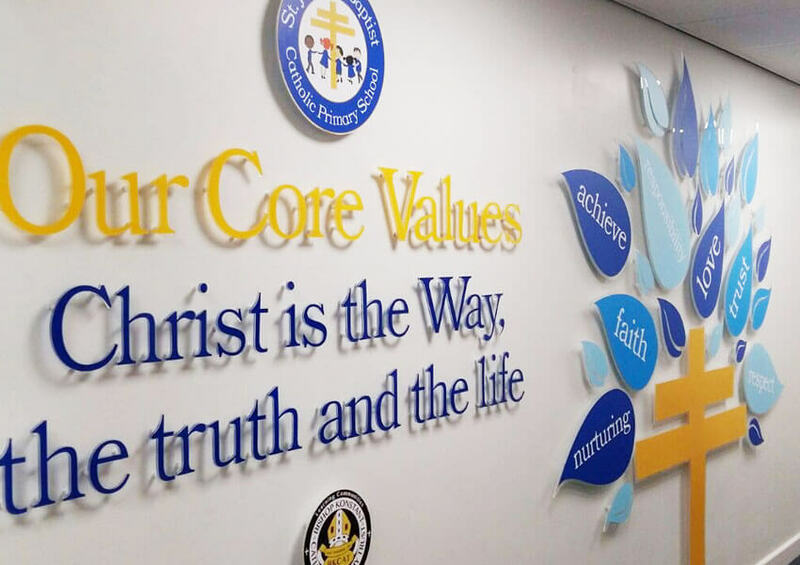 A catholic school ethos expressed through wall displays was something St John the Baptist school really wanted to do to create a really striking impression.